At a time when much of the media has been taking more shots at the Red Sox organization than all of the Bruins' powerplays this season, the signing of Manager Bobby Valentine is an excellent opportunity to prove that business is running smoothly on Yawkey Way. The media can sway public opinion, and often turn the public against a franchise. The Red Sox need to ensure the public that they are in the driver’s seat, and there is no time like the present. First and foremost, the Red Sox need to continue to show that order is in place in the front office. This involves establishing exactly where new General Manager Ben Cherington falls, in terms of power. The Red Sox should not let the media dictate this, they must continue to make it clear. The public needs to know exactly who is in charge, and should not have to question or debate this. 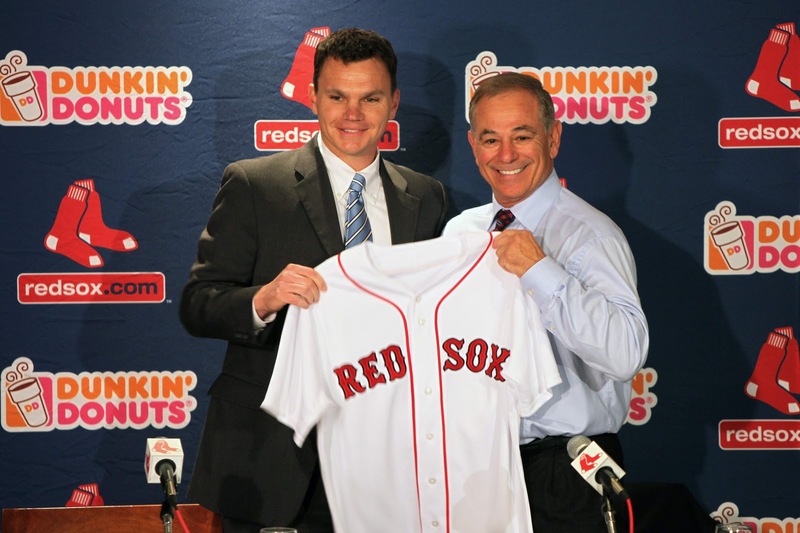 Too much speculation over Cherington’s power has been discussed in the media, and the Red Sox must make this end. This is certainly an important time for the Red Sox, as they have a powerful and extremely marketable brand. Fortunately for the organization, Boston is a very forgiving town. Although any small issue can become a PR mess the next day, ultimately, New England fans are passionate and forgiving. The perception of the Red Sox brand does not all revolve around one manager. And long-term, it certainly won’t revolve around one season. However, the importance of this off-season cannot be taken for granted. Tonight was a success, and this must continue. At a time when the Red Sox have the entire Boston media captivated, they have to take advantage, and use it to benefit the Red Sox brand.